After all the prettiness I wanted to go back to something more casual and earthy. 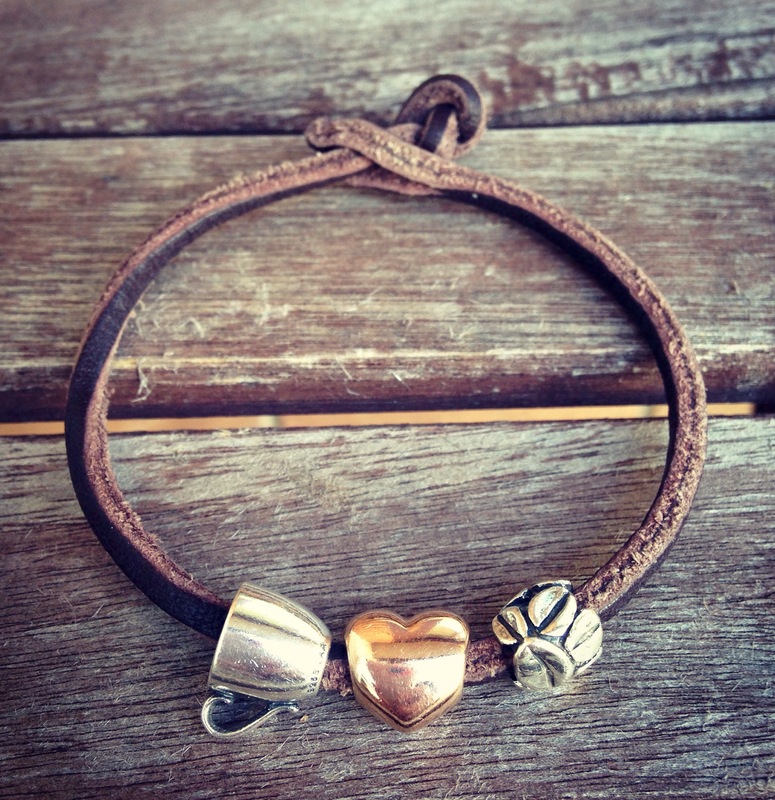 I made an ‘I love coffee’ bracelet on the Trollbeads brown single leather bracelet using the Troll mug and coffee beans plus the Pandora Rose Gold heart. 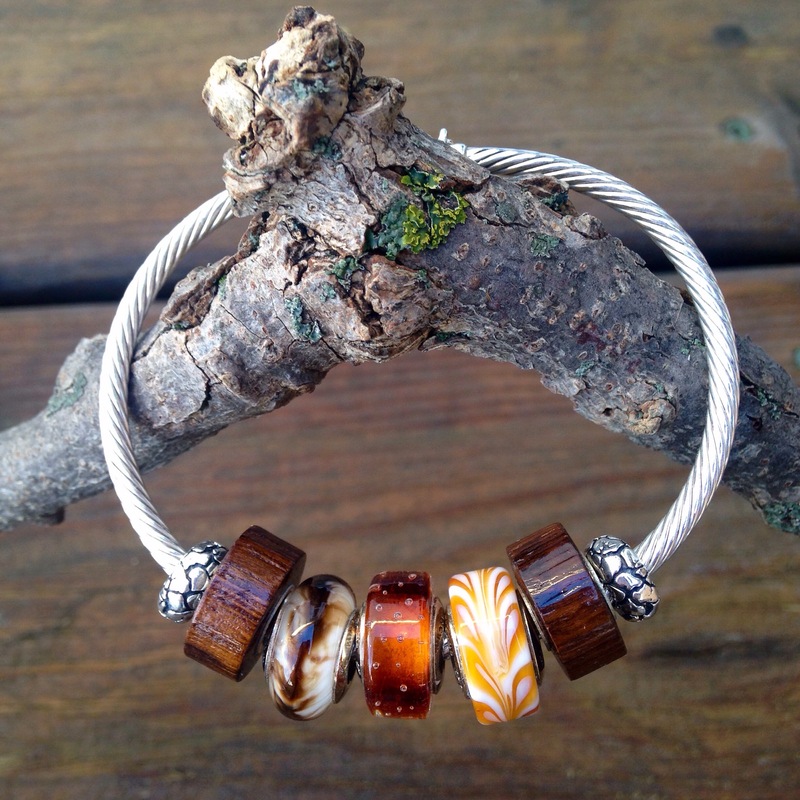 Next up is the Ohm Beads Twisted Bangle with Earth-ish stoppers, two Bolly Wood beads, the Hot Chocolate bead, Bar Brawl and Latte beads. 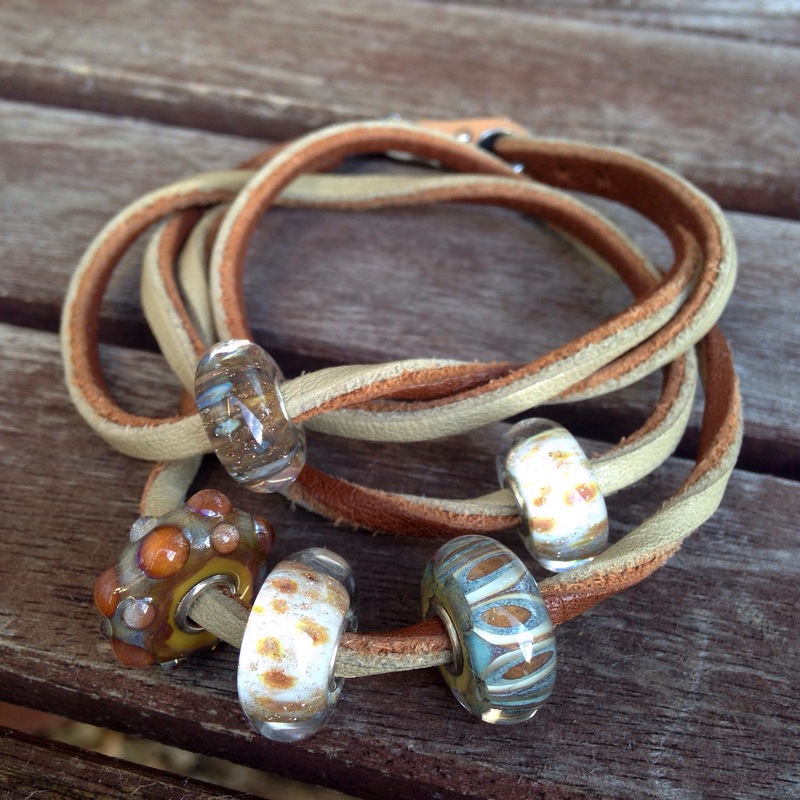 Then I used a Trollbeads leather bracelet with a few glass beads in brown tones. 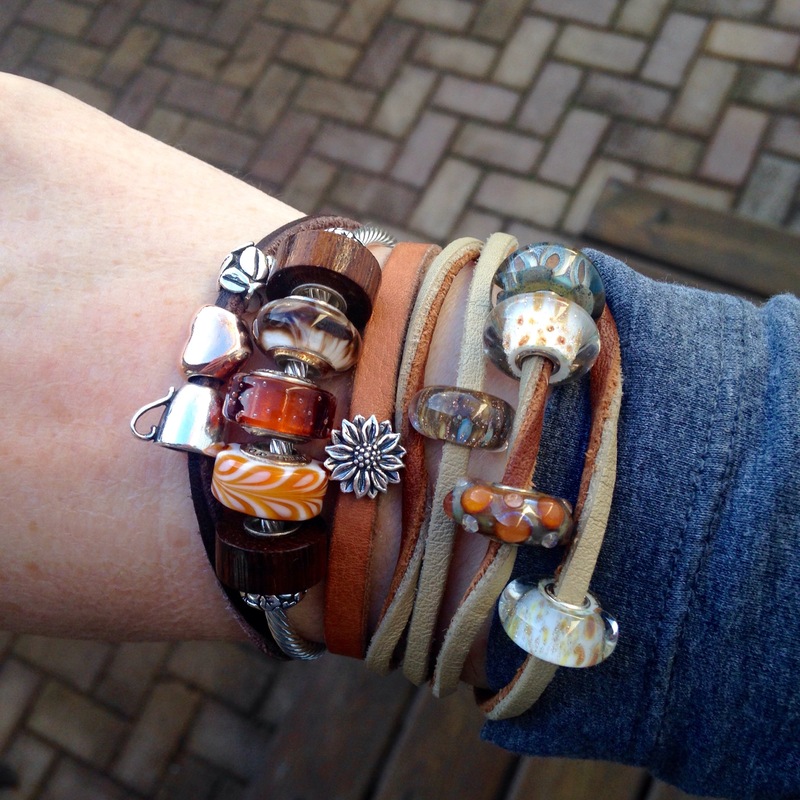 If you’ve never used a bracelet in this style, there’s a guide on how to use them here. 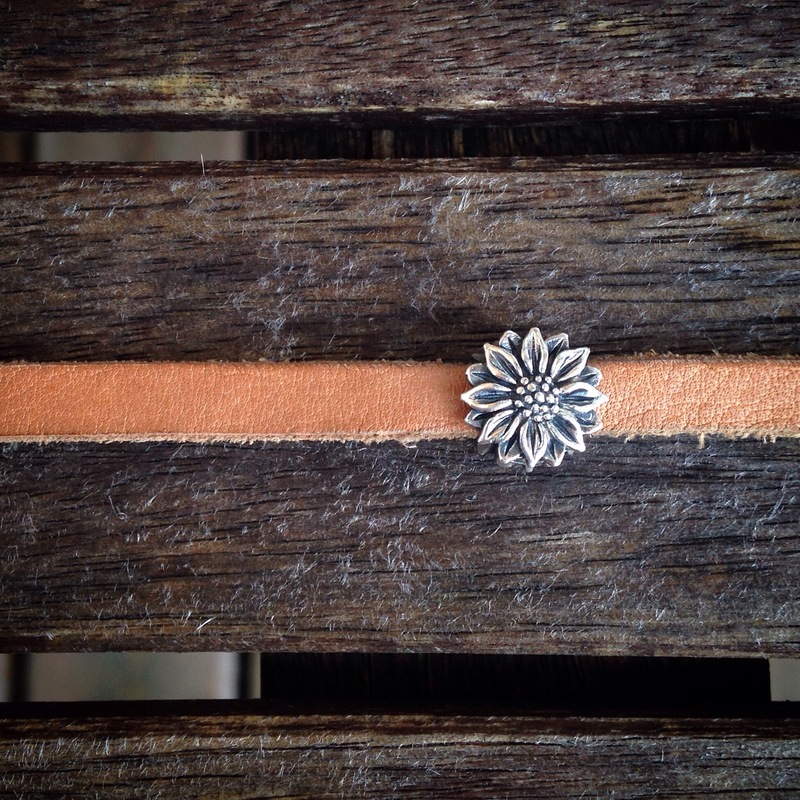 Or course, I always love to use the Redbalifrog tan leather strap with the Sunflower bead. 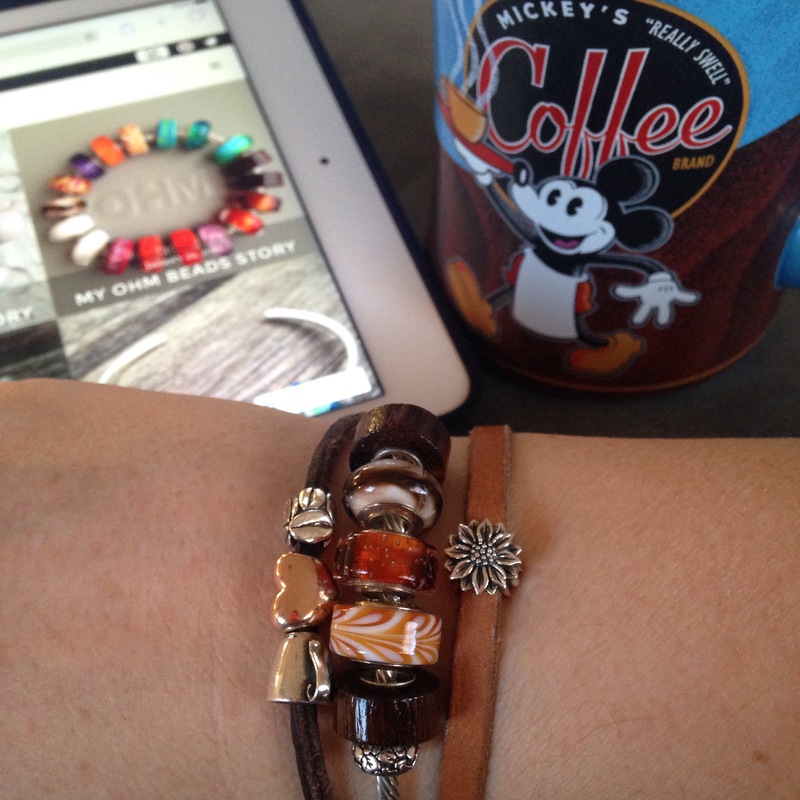 I LOVE this combination stack! Gorgeous.